25/03/2019 - Gabion baskets completed. 15/2/2019 - Earthworks underway, some concrete footings poured. 20/11/2018 - Letters advising of the start of works are being delivered to residents who live within a 100m radius of the site. Please check your letterbox. You can also view the letter here. 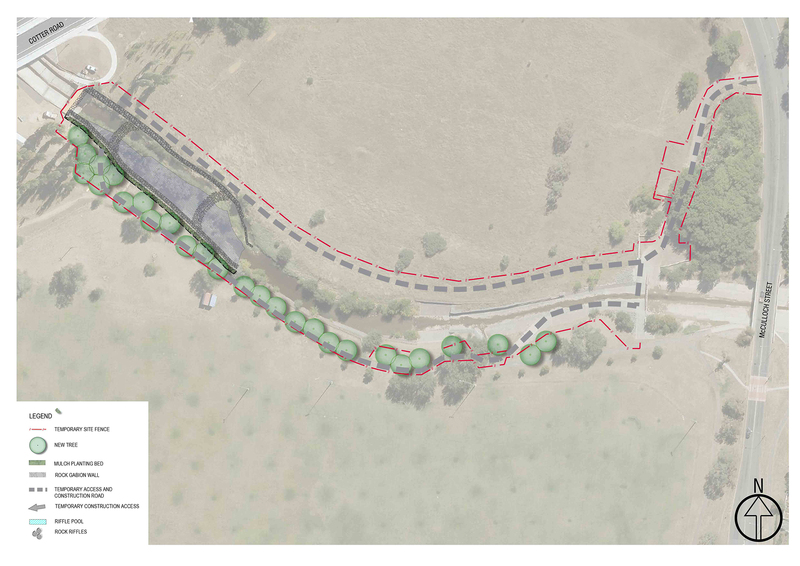 The Yarralumla Creek catchment is one of the oldest urbanised areas in the ACT. Only small remnant areas of nature reserve survive with the main waterway, Yarralumla Creek, discharging high sediment and nutrient loads into the Molonglo River. 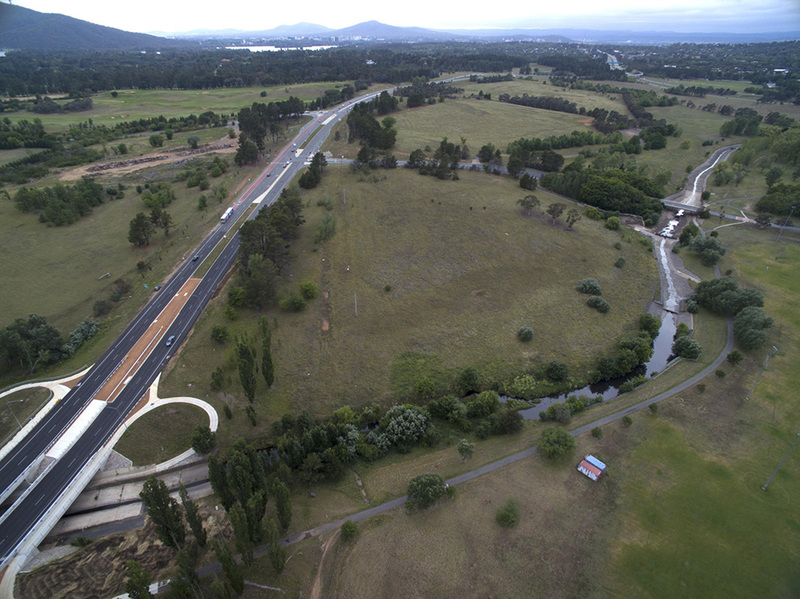 This waterway restoration on Yarralumla Creek, approximately two kilometres upstream from the confluence with the Molonglo River, is designed to reduce erosion, particularly on the creek banks. It will target erosion hotspots identified using aerial imagery and site inspections. Works include the repair of heavily eroded banks, the construction of rock riffles, weed control, landscaping and the construction of a short maintenance access track. Current modelling indicates that soil loss from erosion on this reach of the creek is approximately 108,000 kilograms per year. Once work is complete soil loss is expected to be reduced by over 97,000 kilograms (90 per cent). +Works may be delayed by a number of factors, including bad weather. Planting is part of the construction phase and the timing of the growing season may impact on construction timelines.